When I was a kid I loved the summertime; and when I was a kid, summer seemed like a long time. From the end of school field day to the last bus ride home, I couldn’t wait. “Schools out for summer,” I remember hearing that Alice Cooper song that the hip bus driver played on the 8-track on the last ride home with papers flying and kids screaming. I felt the excitement of saying goodbye to homework and hello to the long lazy days at the community pool. My mom would let me and my older brother sleep in, and when I finally did wake up, I took a shower, brushed my teeth, and put on my bathing suit. That’s right, my summer gear consisted of my bathing suit, worn every day. That faded blue suit, quite small, by today’s standards, was on all summer. I loved that suit; when I received a patch for the completion of a swim lesson, my mom sewed it right on the front for everyone to see. I was so proud of my accomplishments. As I grew and received more patches, mom would remove them from the old suit and put the patches back on my new suit. There was beginner, advanced beginner, intermediate and the advanced intermediate, all the way up to junior lifeguard. I was so bigheaded with those patches and I loved my summers at the community pool. Fast forward 35 plus years, I am a father of two. Swimming has always been a part of my life and I have had the good fortune of being in the swimming pool industry my entire career. I taught my kids to swim, but it has been different because of my industry involvement. In contrast to my childhood, the summertime for my kids is different. Theirs is shorter and much busier. A light dusting of snow in the winter may trigger county school closings that result in more school days in June; and they get squeezed in August too. But it’s not just that; it’s all of the other activities that fill the free time of my modern kids. As a young family we had access to a nice swim club, and a couple years ago we moved to an old farm that had a pool we fixed up. But that was after my kids had already learned how to swim. When they were young, they had swim lessons by others while I was working, and they had me in the pool on Saturdays and on vacation. But the time in the water for them was shared with so many other numerous activities. They were always in a summer camp of some sorts, and they filled the rest of their days with practices and games for the teams they were always on. Lacrosse trickles well into June and the fall sports start practicing sometimes in late July. My kids went from practice to practice, game to game, not to mention the birthday parties. In elementary school it seemed they had more birthday invites than I ever did, and they weren’t just birthday parties with pin the tail on the donkey and cake; they were events, usually at a venue that specialized in hosting parties, from laser tag and paintball, to indoor soccer and moon bounce filled warehouses. We were always on the go, but not to the pool. There is also evidence of this generational change when you look at so many swim clubs that are struggling to keep a full membership to financially support the facility. These clubs rely on volunteers, fundraisers and outside members just to open up each year. Some don’t make ends meet. I recall one facility that had to lease part of the grassy yard next to the pool to a mobile phone carrier that installed a cell tower. So where is the time in the water? I’m using my family as an example, but the reality is all of their friends had similar busy schedules. If I had not been in the swimming pool industry that involves lifeguard training and pool safety, could my kids have learned to swim as proficiently as they did? I really did have lazy summer days as a kid, a stark contrast to the constant running around during the short summers for my modern kids. The time with arms around mom or dad, learning to blow bubbles or practice a paddle kick, are over. For today’s modern kids, time in the water is shared with so many other things in their life. We need to look at time in the water learning to swim, as my mom and dad did, as a number one priority. When I think about all of the activities of my children and my children’s friends, swimming and swim lessons seem to blend in like any another thing they do. Like Tae Kwon Do or gymnastics, swim lessons have a signup sheet, a fee and an instructor. But swimming skills are definitely different. We need to understand that swimming is a life skill that can prevent a catastrophic outcome. The ability for a child to know how to swim can save their life. Wow, of all of the things our kids do and all of the lessons they have, is there another activity that can qualify clearly as life-saving? It’s like teaching them to put on their seat belt, or strapping them in the car seat. Something any adult never ignores; yet preventable drowning still remains a problem with young children having the highest drowning rates. I can’t talk to parents and caregivers enough about swimming safety. I have been involved in pool safety, lifeguard training and have been advising parents about their behavior at pools for many years. You can make swimming skills a lifelong lesson learned and a legacy for generations to come. The pressure is on for the modern family to find the time and place to make swimming skills a priority. Of these three things, the barriers apply mainly to residential pools. If you have a pool at home it is most likely that the builder pulled a permit. This automatically triggered a series of safety inspections, mostly related to the barriers or fence, but only once when the pool is built. Gates with safety latches and fences with four sides are important, which means the house is not part of the enclosed perimeter. If your child has access to a pool that has an antiquated fence or broken gates, or no fence at all, this is a problem that cannot be ignored. This may not be your pool; it could be a pool party at the neighbor’s house down the street. Commercial or public pools are inspected at least annually to keep the fence at the facility up to a minimum standard. The lack of swimming ability and the lack of close supervision are the factors that can be changed with a change in mindset or attitude of the parents. It is this change that can prevent a drowning. Imagine how devastated you would feel knowing that by simply making the time in your little girl or little boy’s busy schedule for swim lessons could have prevented a catastrophic incident. If you lost your child to drowning because you didn’t value swimming instruction, would you have a peace of mind knowing that you made soccer, gymnastics or dance more important than learning a skill that could have saved his/her life? The lack of close supervision is the other factor, which has gotten worse over the years, not better. Distractions years ago when I started my career were magazines and books; now we have iPads, iPhones, Kindles and internet in the palm of your hand. If your child has not yet become a proficient swimmer, you must be in the water within arm’s reach at all times. This is the rule we enforce at all of our sites at all times. This rule should be your own, not something a lifeguard reminds you about. If your child can’t swim, you have no choice. Enough with all these rules and statistics; yes, they are important. Of course I want you to read this article and change your perspective on drowning. But think about the perspective of your child. They want you in the water anyway, whether they can swim all alone or are still learning. They want you to play with them. I remember my experiences as a child, my father would let me wrap my arms around his neck and he would swim, towing me along, it was so much fun. As a dad myself, the time I spent in the water with my kids was priceless. “Dad, throw me” was all I heard over and over. Then once this game started, other kids would get in line as well, kids I had never met before. It became a workout for me, but I knew they were having so much fun. To have an adult participating in pool games is such a fun time and irresistible to a kid. You can make a difference. 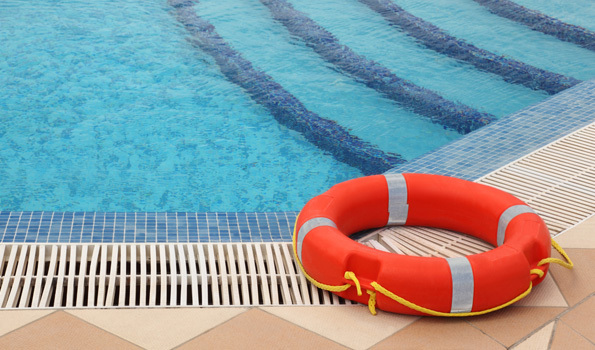 Knowing the danger that presents itself with the swimming pool and the reasons contributing to these accidental deaths and injuries, parents can make a difference. Swim instruction and parental supervision can reduce the number of incidents, but worry about your child first. Your little boy or little girl is counting on you.